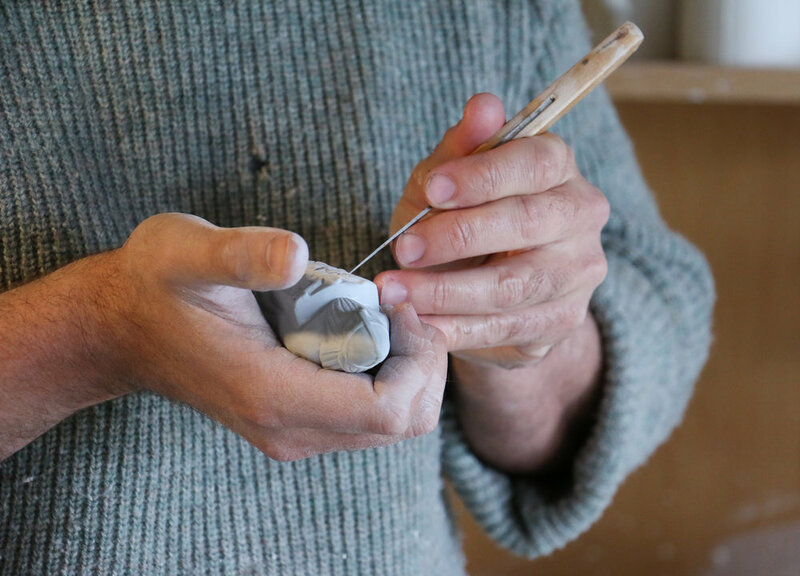 Tell us a little bit about how and why you got into working with clay? I was studying industrial design and I did a research project into using clay as a material. I got in touch with Auckland Studio Potters and hassled them with lots of silly questions, so when I left Uni I started night classes there. Also, when I was doing the research, I started looking up youtube videos of people throwing clay and I just thought it was so amazing. I wanted to learn how to do it. When I started, my goal was to make a lampshade, a thrown porcelain lampshade, and I’ve been doing it for nine years and I haven’t made one lampshade. Your work is slip cast and finished to a very high standard. Where did you learn the technical skills involved in making work like this? 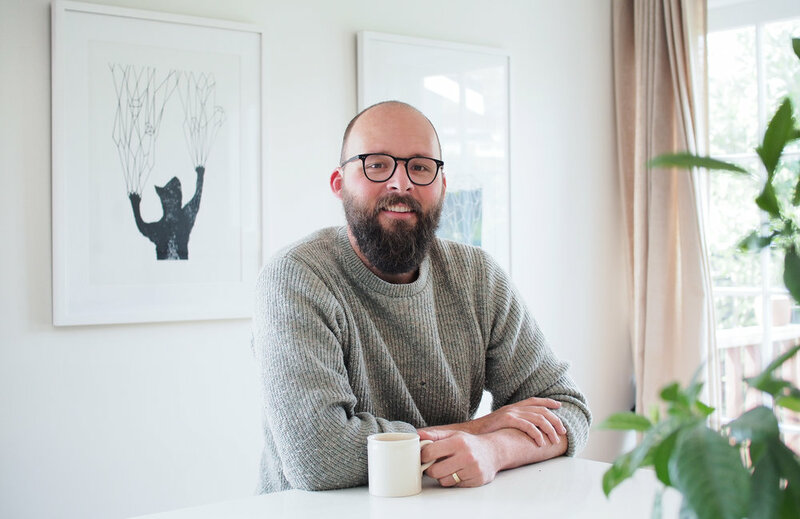 I worked for a year and a half part-time at Studio Ceramics in Glen Eden. I was the mould maker's assistant. Bruce Yallop, who’d come from Crown Lynn, taught me everything. 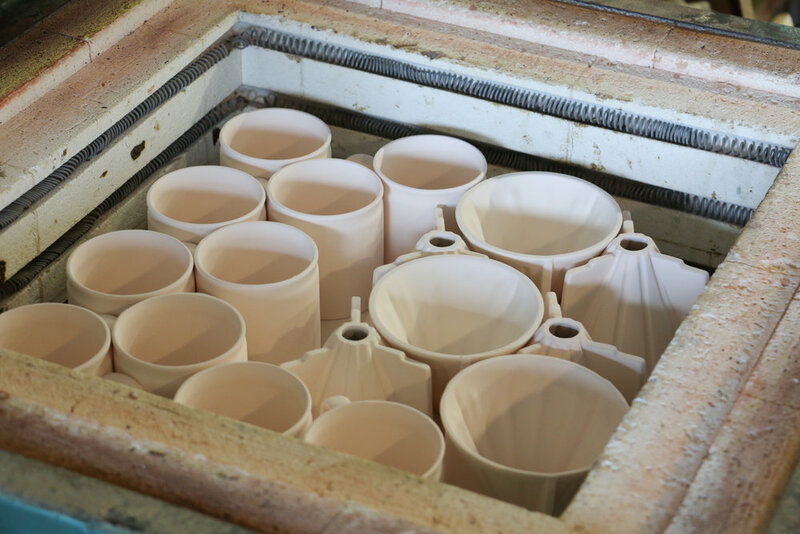 I had done a slip casting course with Brendan Adams at Auckland Studio Potters. I didn’t complete a mould in that class and then went away to do a mould at home and I just failed miserably. Years later, I was working at Douglas and Bec, at the factory as a cabinet maker and they were getting stuff made at Studio Ceramics, so I got in touch with them and asked if they wanted an assistant a day week for nothing, so that’s how I ended up working there and learning from Bruce. What is the inspiration behind your functional work? The diner cup is quite an American thing I think. There’s that iconic Stumptown design which curves inwards at the side but overall looks like a really solid, sturdy straight up and down cup. So that diner cup and the factory ceramics from the sixties are inspiration. I’m inspired by the processes behind making them as well. I make a hip flask which was the first product I launched as Taus Ceramics. It was inspired through brainstorming into what technically I could do with slip casting. I had that lightbulb moment that it doesn’t have to be round like everything else I was making on the wheel, everything opened up. I came up with the hip flask as a good “gifty” product with a little bit of an edge to it. You also make some other ceramic works. Can you tell us a little about the inspiration behind those? I make the shark which is a form that is inspired by the process. It all usually goes back to the process of how do you actually make it, I’m thinking about how I make the moulds and what I can do with them. Then on top of that, looking at historical or fashionable pieces over the decades. There’s the Crown Lynn swans, iconic pieces. I’m thinking about ways that I can take that same kind of product and put my own spin on it. Again, the chess set is an iconic and ancient product that has been reformed over the years. Being able to put my own stamp on that lineage is really inspiring. Your studio space is underneath your house. How do you find having a home studio works for you? I don’t think I could do it if I didn’t have a space at home. I’m not very good at sharing spaces or going into someone else’s space and then tidying up. I’ve got to be able to spread out and make lots of mess, drop it and then come back to it. Other than having the studio downstairs, it’s something I try not to let invade into the house too much. Though there’s definitely been times when the dining table has been full of pots, waiting for stuff to dry. The fact that the studio is close means that I can keep things separate. 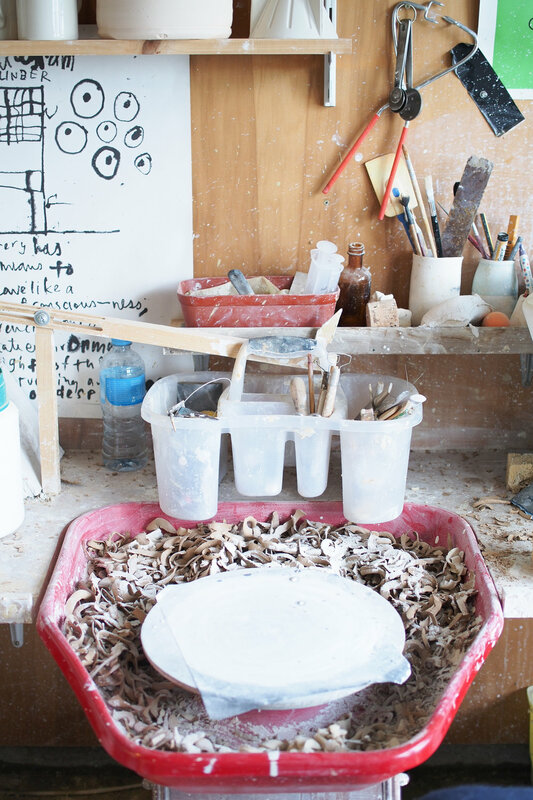 How does being a ceramicist fit in with your home life? Both my wife Emma and I are into interior design and decorating. Emma works for Citta Design so she’s into homewares. It is really awesome to be able to make our own stuff. But a little bit like the lampshade, Emma has been waiting for eight years for a full dinnerset, and she got one, but only because I messed up an order for a café. Our coffee cup drawer is just filled with seconds. In that sense we’re both design-minded, we both think about what we put into our house. We have lots of vases that I’ve made, fruit bowls and things. It’s certainly handy.